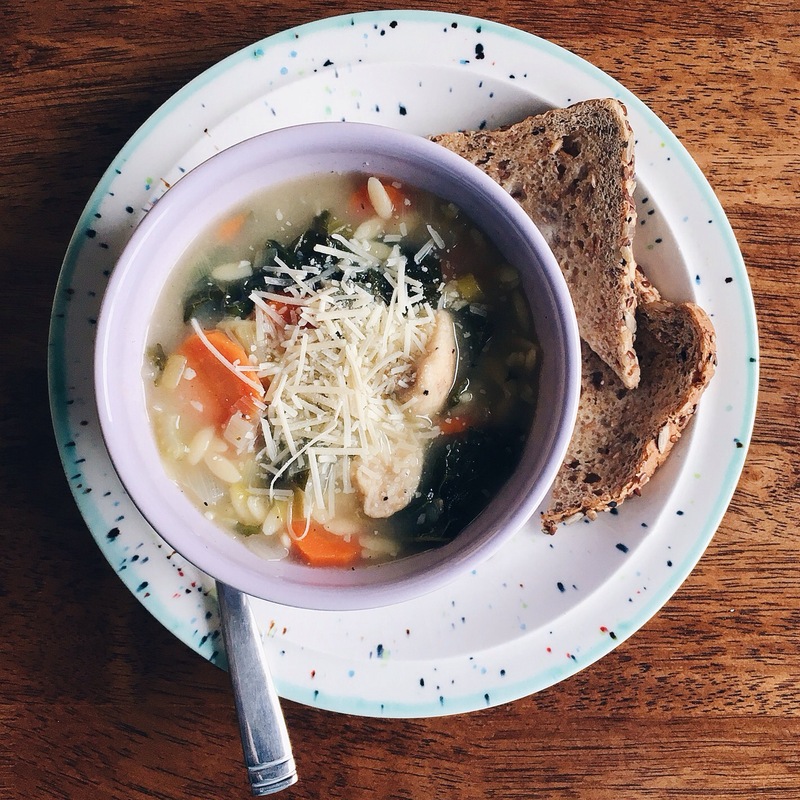 A few weeks ago I caught an annoying cold, it was one of those colds that isn’t awful, but that won’t let you sleep or go to the gym, so I basically sat around and ate this soup for a week while watching TV, browsing Pinterest and coloring.. yes I said coloring. Once I thought I was getting better, the cold tricked me and got worse, but thank goodness for this stew. 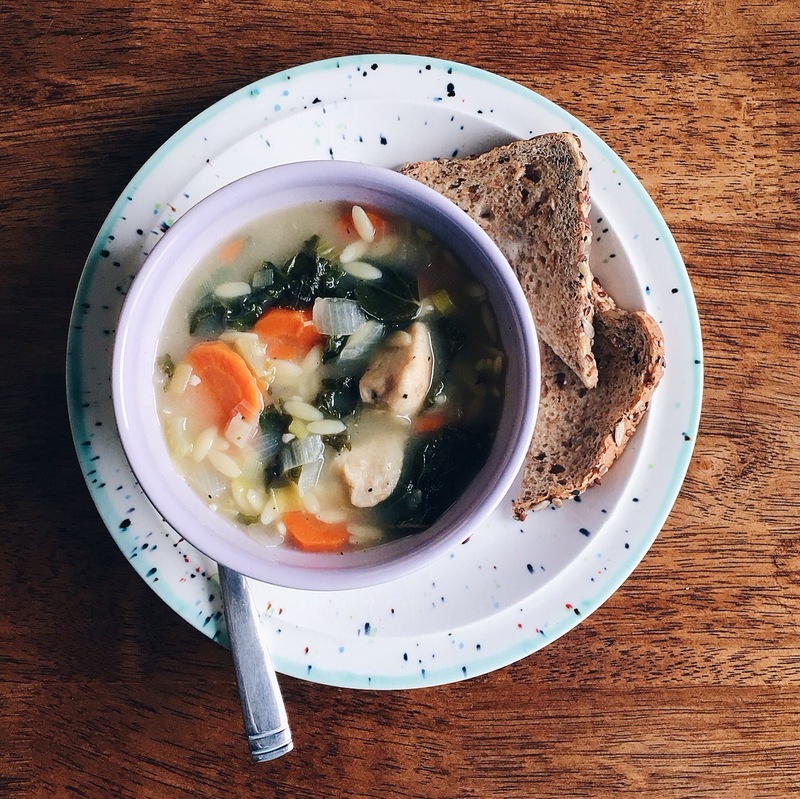 This wonderfully hearty, vegetable-y, chicken-y stew. 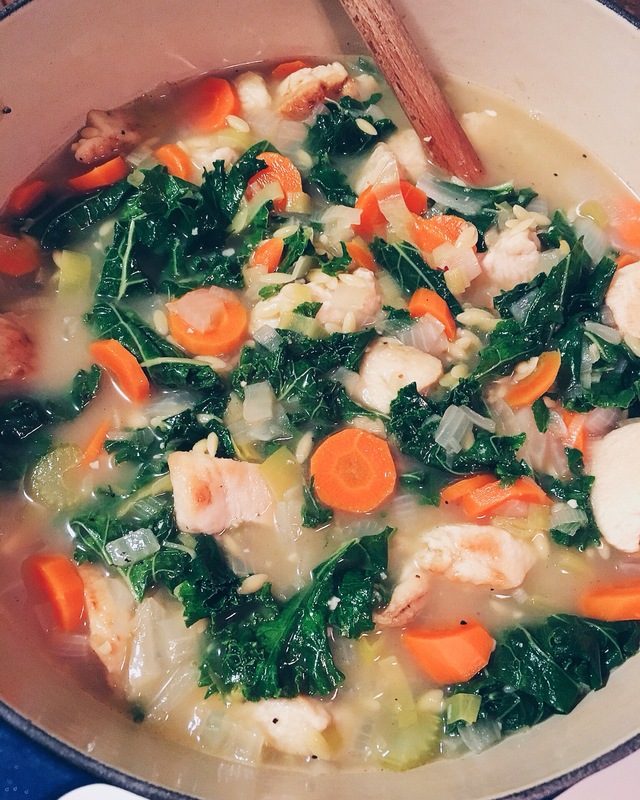 This chicken stew was the only thing that made that week better, and it almost didn’t get fully made. 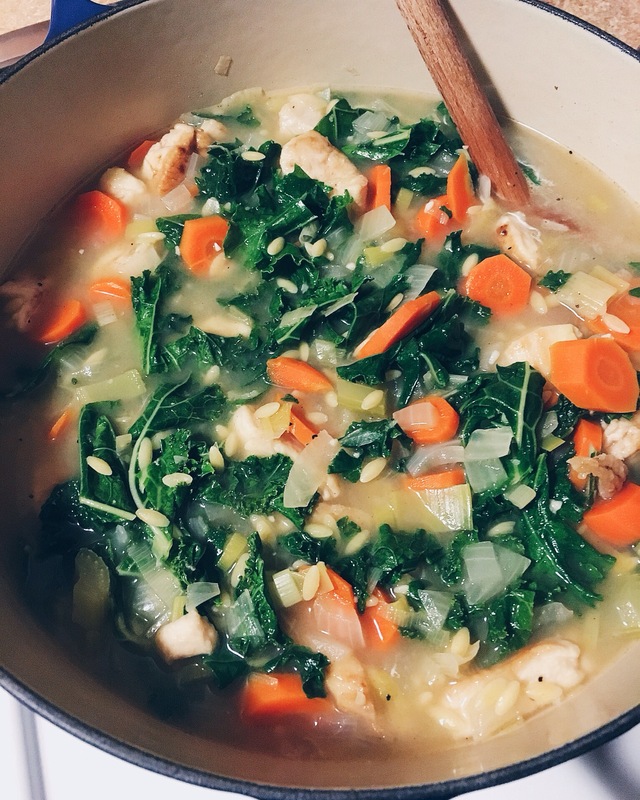 The night I decided to make a pot of this stew, after my cold was in full swing and I desperately needed a giant bowl of it, we had a ridiculous wind storm. Shingles flew off our roof, our patio furniture got blown over and it sounded like the house was going to blow over. In the middle of cooking the stew right after the uncooked orzo went in the pot the power went out… for 30 seconds, thank goodness that was it! The power came back on and I was able to finish it up. Some poor people around here were affected much worse and didn’t have power for hours and some for over a week. I’m thankful we lucked out this time! Back to this stew, it’s considered a stew because the broth is thicker than a chicken soup and it’s really hearty. 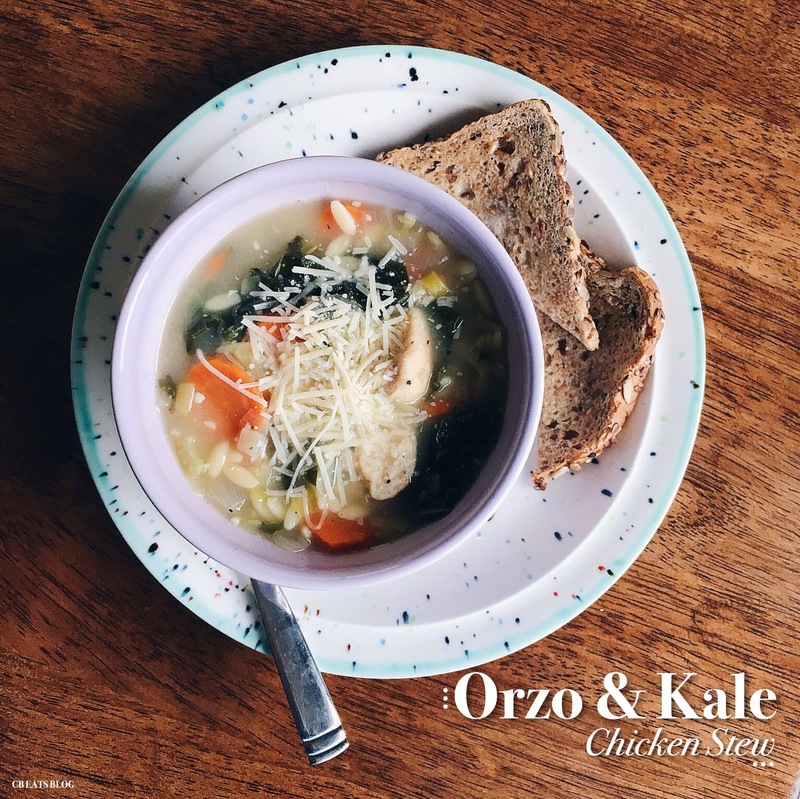 The broth is thickened from dredging the chicken in flour before being cooked and also from cooking the orzo in the same pot as the other ingredients releasing the starches from the pasta. 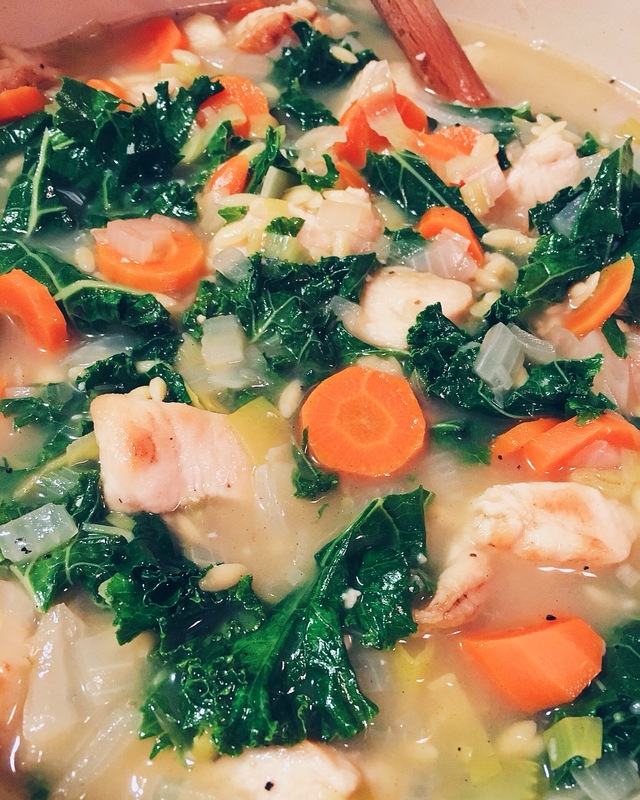 I’ve made this stew a few times over the past few years and with time I have made a few tweaks from the original recipe I found from Foodie Crush’s blog post for Lemon Chicken Stew. 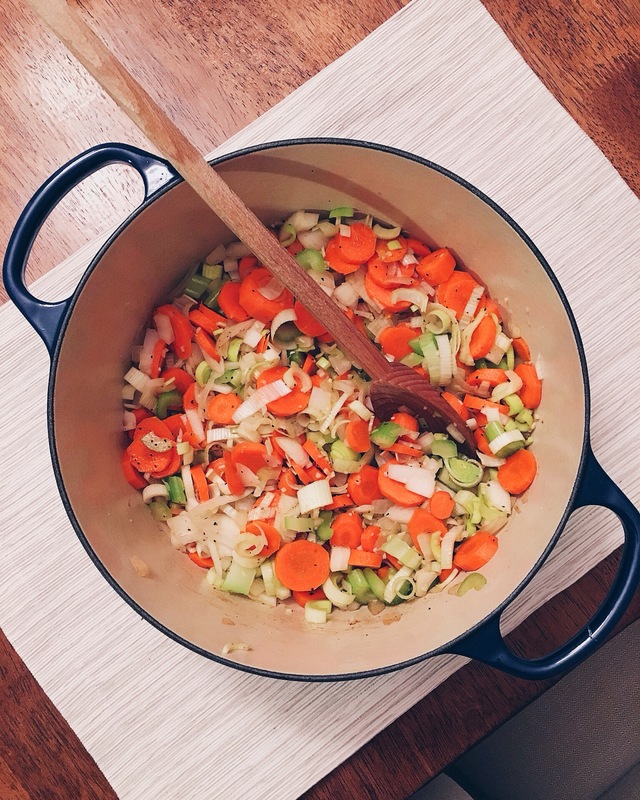 In an 8-quart dutch oven or stockpot, heat 2 tablespoons of the oil over medium high heat. Add the flour to a medium size bowl and season with about 1 teaspoon each of salt and pepper. Dredge the chicken in the flour, shake off the excess and place a third of the chicken in the pot at a time. Cook until golden brown, about 2 minutes per side, then transfer the chicken to a paper towel lined plate. Brown the remaining chicken in 2 more tablespoons of the oil. 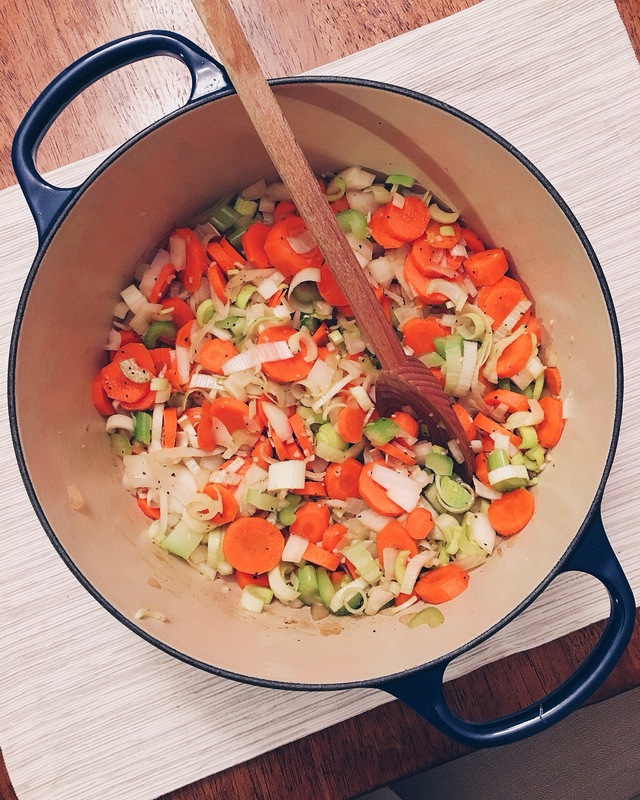 In the same pot add the remaining 1 tablespoon of oil and the carrots, celery and onion to the pot and cook over medium heat for 3 minutes. Add the sliced leek and garlic continue cooking for about 2 minutes and season lightly with salt and pepper. Add the chicken stock and water and bring to a boil. Cover and simmer over low heat, stirring occasionally for about 20 minutes. 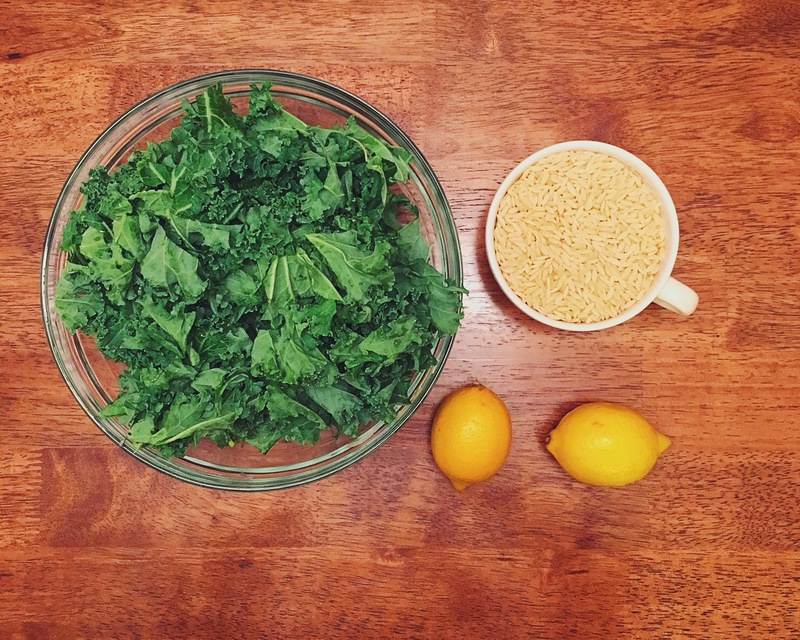 Add the orzo, chicken and kale to the pot and cover and simmer for about 20 minutes or until orzo is al dente. Stir in the lemon juice and season with salt & pepper to taste. Serve hot with your favorite crusty bread for dipping and top with some shredded Parmesan if you’d like. *When reheating for leftovers, I like to add a splash of additional chicken broth without it there won’t be much of a broth.